A.J. and Hannah will be be staying with us this week while their parents are out of town. 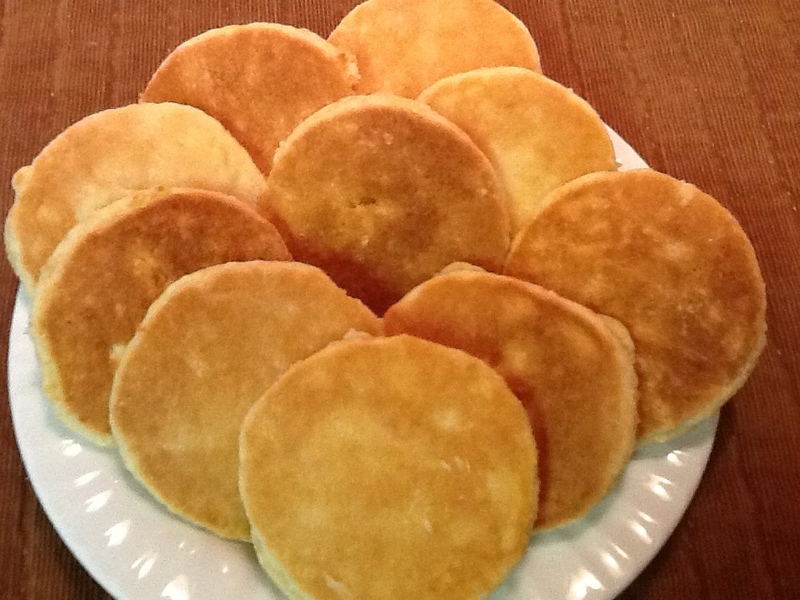 Their favorite meal is breakfast so, I have been on the prowl for fun, make ahead recipes. I found these Welsh Cakes while doing a search for "breakfast" on the King Arthur's Flour website. Their rating . . . 5-star! These definitely fit my criteria for a perfect kid-friendly breakfast! " 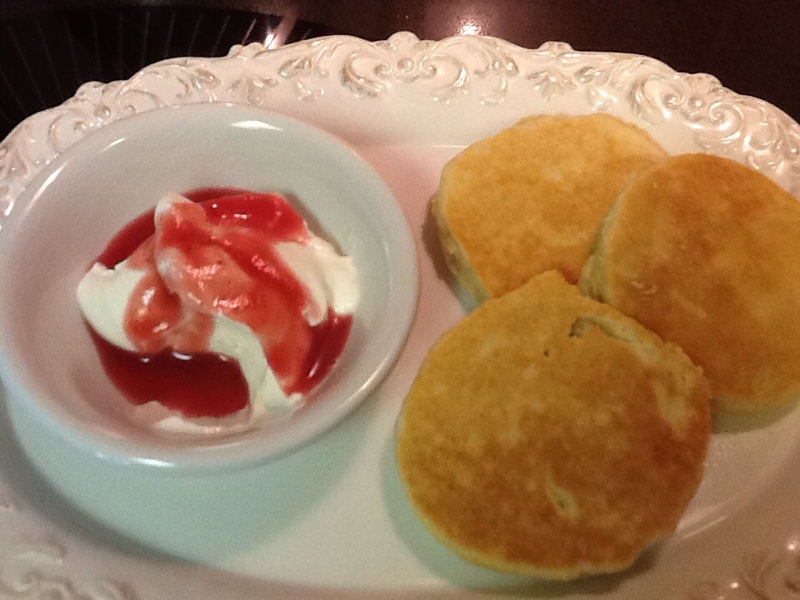 The cross between a pancake and biscuit, with elements of both a cookie and muffin, sturdy enough to be eaten plain, in hand or topped with jam". As an added bonus, they're excellent the next day, reheated in the toaster! Who am I kidding? I believe I've found the perfect breakfast food for me! A.J. 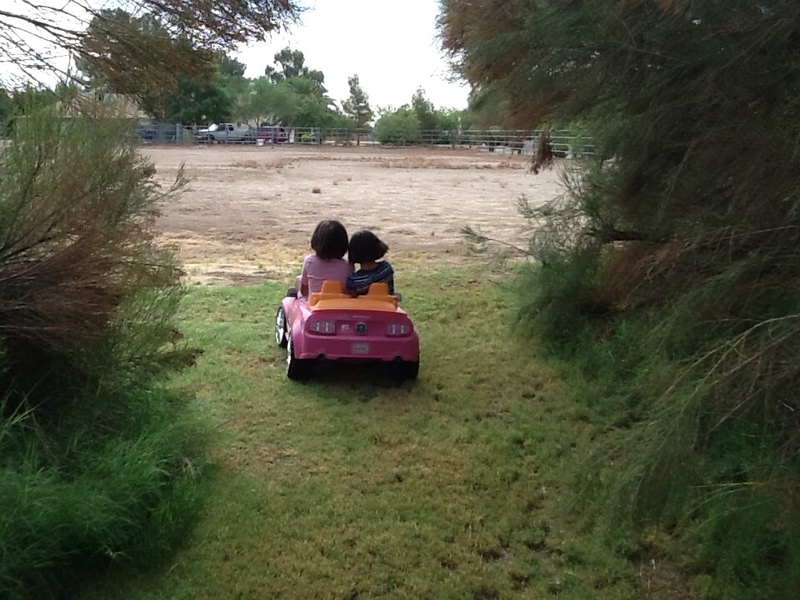 And Hannah exploring our 3 acres in their electric car. So, I made my first Welsh Griddle Cakes . . . The first batch I cooked on 325F and they were a bit pale. The second batch I set the temperature at 350F. and they cooked up nicely. I served the girls a dipping sauce of organic sour cream with my homemade pomegranate syrup pour over the top. They loved them! My review: These are tasty biscuit/cookies with an incredible texture! They are a bit of work, but make a nice, in-hand, take it with you, breakfast or snack. I like the idea of making these as a treat for special occasions, like the feast day for Wale's patron saint, St. David, celebrated on March 1st! 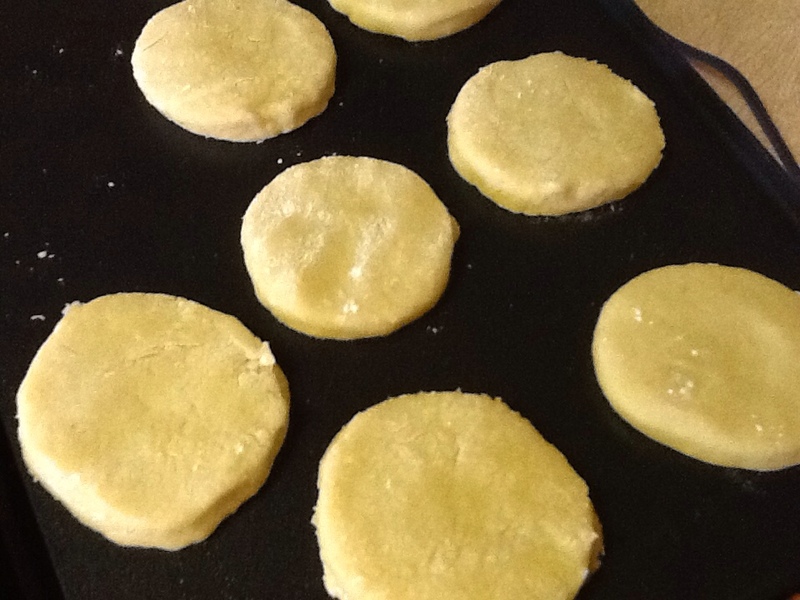 These cakes reminded me of my recipe for Paul Bunyon Sugar Cookies, which are incredibly tasty! Next time I will definitely make them with the currents or maybe cut up bits of cranberries! Yum! 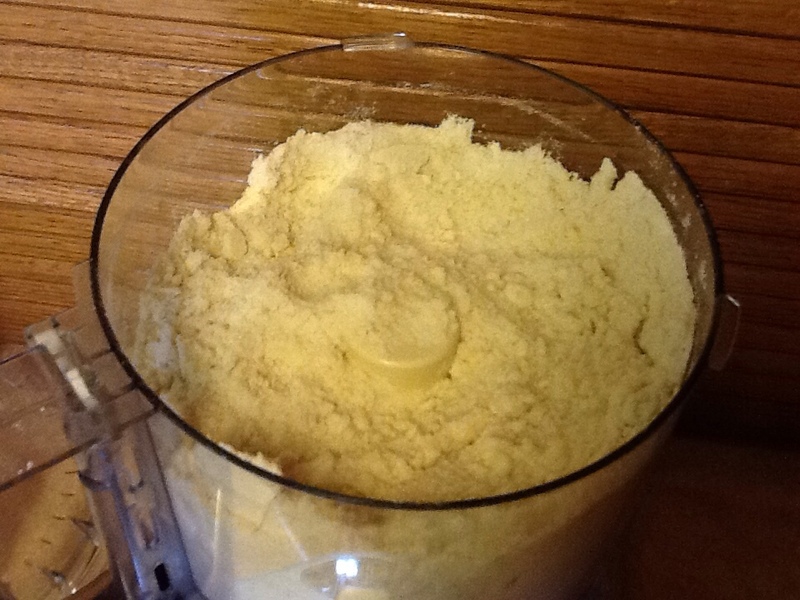 Cut butter into small pieces using a large food processor or mixer until mixture is crumbly. Mix in egg/milk until everything is moistened. 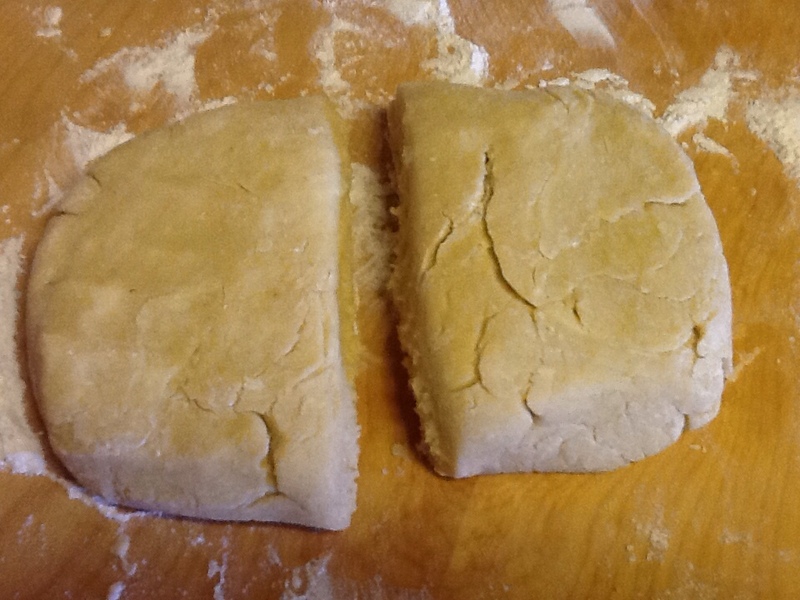 Turn sticky dough out onto a well floured surface, divide in half. 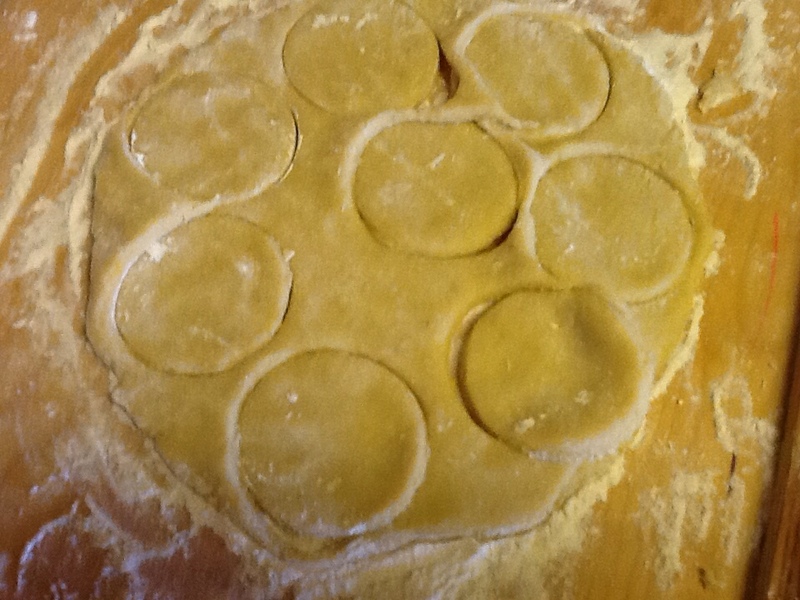 Work with half the dough at a time, keep the other half refrigerated in plastic wrap. 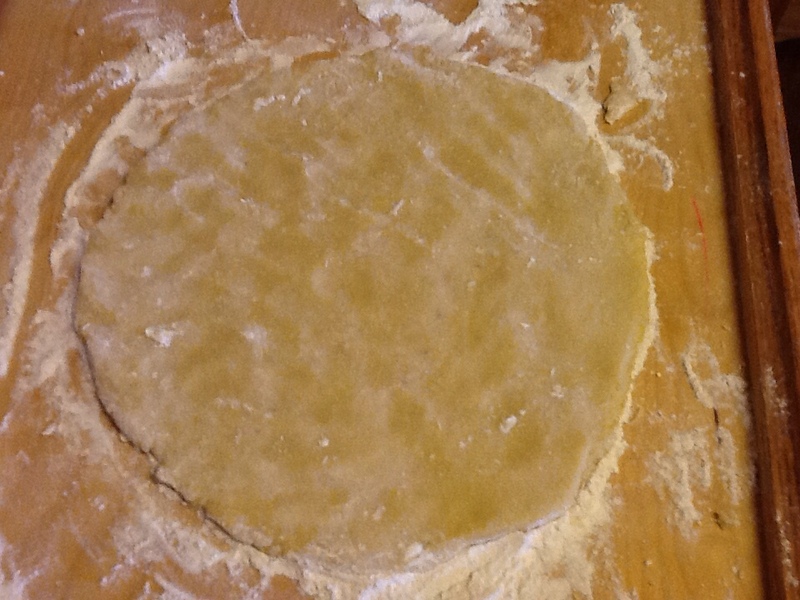 Add more flour to surface and gently pat dough into a 9 1/2-inch disc, 1/4-inch thick. 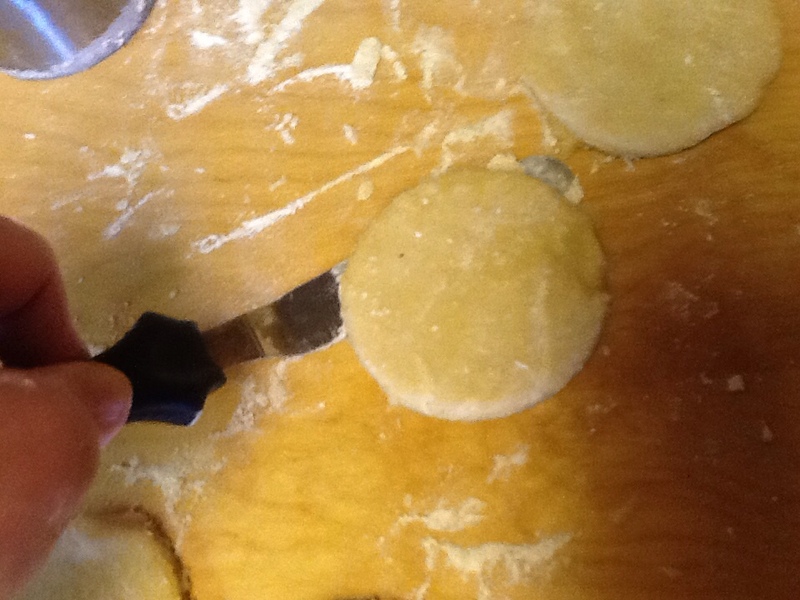 Using a floured biscuit cutter or glass, cut dough into circles. Gather scraps, gently form into a ball and pat to 1/4-inch and continue cutting out cakes, adding flour as needed. Use an offset spatula knife or cookie spatula to lift cakes (I placed cakes on a parchment-lined cookie sheet right next to my electric griddle). Heat ungreased frying pan, or electric griddle to 325-350F. cooking 2 1/2-minutes on each side or until nicely browned. Hint: Try cooking 1 cake at 325F. adjusting heat as needed. Serve plain, sprinkled with cinnamon sugar, or with pom or berry syrup poured over sour cream, or split with butter and jam. Left overs may be warmed in the toaster. We all really enjoyed eating Welsh Griddle Cakes . . . Over at Julie's!!! P.S. Can't seem to get these out of my head! Love the fact that they need no butter or honey . . . Just perfect as is!